If there’s one issue winning bipartisan support in Madison, it’s legislation to fight heroin use. 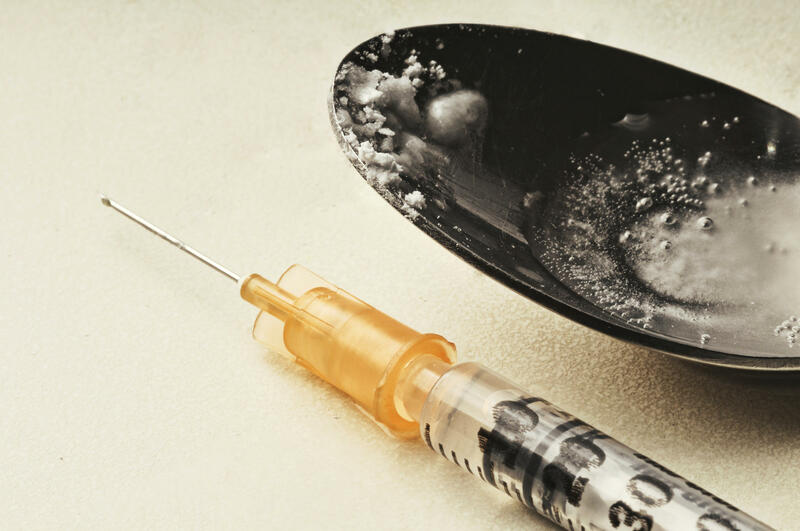 In 2012, the illegal drug killed nearly 200 people in Wisconsin. A state Senate committee will soon vote on a package of bills the Assembly approved earlier this month, on a vote of 96-0. This week, additional proposals surfaced. The measures are from Marinette state Rep. John Nygren. He learned about the addictive drug’s vicious grip, when his daughter Cassie overdosed. “She was purple, she wasn’t breathing easily, and had a needle in her arm still,” Nygren says. Cassie was in high school, but dropped out after she became addicted to heroin. She’s been in and out of her family’s life – and prison -- for years. Nygren says he used to think incarceration was the worst thing that could happen to her. “It’s not a great place to be, it’s not where you want your beautiful Valentine's Day baby, but it is a better place, a safer place, than being in an environment where heroin is accessible at all times,” Nygren says. Nygren shared his family’s struggles, in a public affairs campaign the state launched last fall. He also introduced the bills that are now before a Senate committee. One would provide immunity to anyone who helps a person who’s overdosed. That might mean going to the ER or calling 911. The bill also would provide immunity for possessing and administering a drug called Narcan. It acts as an antidote to a heroin overdose, if given soon enough. “Even if they’ve actually completely stopped breathing, and we start ventilatory support for them and give them this Narcan, they’re up and talking before we get them into the ambulance sometimes,” says Milwaukee Fire Capt. Michael Wright. His department’s paramedics are among the first the state has authorized to use Narcan. Rep. Nygren’s proposal would let all firefighters and police obtain the necessary training. Another bill targets the abuse of opiate-based prescription painkillers, such as Vicodin and Oxycontin. Capt. Anthony Smith heads the Milwaukee Police Department’s narcotics division. He says the pain pills produce a high – and an addiction -- similar to heroin. “Abuse of prescription opiate-based drugs is the gateway that we’re seeing to people becoming addicted to heroin,” Smith says. And Smith says it can be easy these days to obtain the medicines. “Many times these are teenagers and they're experimenting, so they are literally stealing drugs -- legally prescribed drugs -- out of their parents’ medical cabinet, or they might have a legal prescription themselves and they’re getting addicted to it,” Smith says. Kyle Barney of Milwaukee is a recovering heroin addict. He says he switched from taking pain pills to using heroin, because it was cheaper – $10, compared to $50 for a pill. Yet the prescription drugs were everywhere. “It’s so common now, it’s almost like marijuana usage, you know when I was in high school, that’s what everyone did and now it seems like the kids in school, everyone just does pills. And it’s a peer thing, you know, if your peers are doing it, they seem like they’re OK, then you feel safe and you’re willing to try it,” Barney says. One bill before state senators aims to keep pain pills off the street, by allowing more medicine collection sites to accept them for disposal. And just this week, Rep. Nygren introduced more measures, to tackle additional aspects of the heroin problem. One would create regional treatment centers. Nygren says his proposals aren’t a silver bullet, but they’re a start in tackling what has become a crisis in Wisconsin. Residents can drop off unused and unwanted prescription drugs at a number of locations around the community this weekend. The Drug Enforcement Administration is holding its seventh annual event to collect leftover medicines.